(LINCOLN, NE –September 19, 2013) – Matt Talbot Kitchen & Outreach (MTKO) received the Better Business Bureau (BBB) Integrity Award at an award ceremony at The Embassy Suites in Lincoln, NE on Thursday, September 19, 2013. These Awards focus on demonstrated ethical business practices with key stakeholders including customers, employees and community at large, rather than a company’s growth, profitability or popularity. The Integrity Award Winners were chosen by an independent panel of judges consisting of Lincoln business leaders and members of the academic community. Serving lunch and dinner seven days a week, MTKO is a hunger relief and outreach center for those in need. 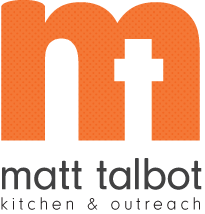 Last year Matt Talbot served 102,897 nutritious meals to the hungry in Lincoln and provided over 21,000 homeless prevention services such as transitional housing, case management, drug & alcohol evaluations, life skills classes, nutrition counseling, and help with obtaining vital identification documents.